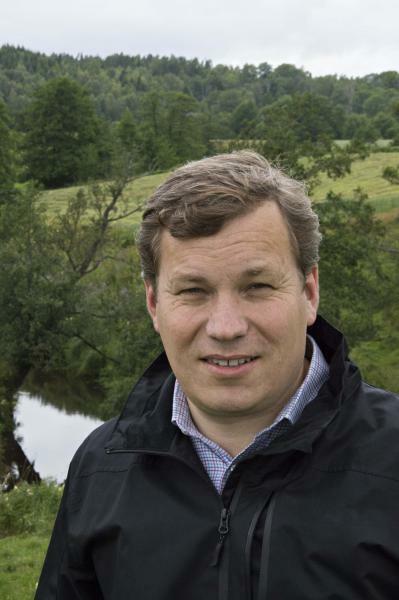 Johan Kling is a geomorphologist, mainly working with hydromorphology and heavily modified water bodies as part of the WFD implementation in Sweden. Different aspects of rivers have dominated his working career from research and university teaching to UNESCO Man & Biosphere program, governmental research policy and the largest NGO in Sweden. For several years, he was one of very few consultants in hydromorphology in Sweden. Since 2008, he has worked with WFD and hydromorphology at different levels from County administrative board, Water basin district level and, in recent years, the national level within the Swedish Agency for Marine and Water management. Johan is a member of the Advisory Board of the REFORM project. My professional connection with rivers and river geomorphology goes back to 1987, when I studied physical geography with a focus on fluvial geomorphology. My PhD, however, dealt with arctic processes like permafrost, cold climate but also rivers in this climate. After my PhD, I became deputy coordinator at the Climate Impact Research Centre in the Arctic which addresses the effect of warmer climate on vegetation and animals on land and in water. My work on the interface between science and policy started as main policy officer for research, science and technology at the Ministry of Education and Sciences. Thereafter, I moved for 8 years to the NGO Swedish Society for Nature Conservation mainly on environmental issues related to hydropower and energy production. Then, I started my own consultancy working on river hydromorphology. After several years, I returned to the policy level by joining the River Basin District Authority of Skagerak and Kattegatt to work on hydromorphology at district and national level. At present, I am Senior Advisor at the Swedish Agency for Marine and Water Management, again on hydromorphology issues. All in all, I am interested in how rivers function, in particular the interplay between hydromophology and ecology, as well as the cultural heritage of river landscapes. 2. What do you see as the key challenges to conserving and restoring rivers in Europe and specifically in Sweden? The first major challenge is certainly the very large number of water bodies affected by hydromorphological changes on the European scale, as well as in Sweden. This new insight is a result of the first planning cycle of the Water Framework Directive (WFD). It came quite as a surprise to high levels of decision-making because earlier on attention was mainly given to water quality issues such as acidification and eutrophication. In Sweden, 40 to 50% of 16.800 water bodies show an altered hydromorphology. It is clear we cannot handle the restoration of all 6000 to 7000 water bodies in one WFD cycle. Thus, an important challenge is how to prioritise the restoration actions both in time and space. A second key challenge is understanding what rivers provide in terms of ecosystem services. There has been a strong focus on services like hydropower and flood protection but there are still many unknown issues on what value rivers really provide to society. We still have the tendency to approach rivers with traditional engineering. A hundred years ago, we were focused on conquering nature and engineering landscapes with the result of increasing floods, reducing biodiversity and other ecosystem services. We have to change our view of what rivers can offer and how they should be managed. A third major challenge is the link between hydromorphology and ecology. We lack detailed and harmonised types of hydromorphological conditions that are consistent with good ecological status. Dealing with hydromorphology properly is an interdisciplinary task, requiring knowledge in different fields e.g. ecology, landscape and biology but also cultural history. The REFORM project is important in emphasising that hydromorphology is the connection between ecology and habitat. Surely, implementing this insight will require changes in monitoring systems. Overall, there is a tendency to simplify and monitor hydromorphology like eutrophication or acidification. For example in Sweden, it is not unusual to regard dense trout population as an indicator for good river ecological status. In reality, this may not always be the case, because the lack of competition from salmon, due to migration barriers might increase the number of trout individuals. It is thus important to have a good overview of the habitat and the interaction of ecology and hydromorphology. 3. How are these challenges being addressed when implementing EU water policy, especially the 2nd river basin management plans? The situation is certainly different in different Member States. In Sweden, the tendency is to spend a lot of time on characterisations and description of the current state, but we lack good tools to prioritise measures. The Programmes of Measures of the Member States outline a vast array of measures with large uncertanties regarding their effectiveness. Important questions remain unanswered with regard to such ambitious plans, e.g. how well are the measures investigated before they are put in place? Which ones should be implemented first and which ones at a later stage? Regarding hydromorphology, we have made a first significant step forward from the 1st to the 2nd cycle, since it has been now acknowledged as an issue to tackle. We have also established means to exchange experiences about the functionality of certain measures. In Sweden, now much more data are available on hydromorphology. In the 1st cycle, we had hydromorphological information on around 1000 water bodies only. In the 2nd cycle, we have access to georeferenced data through remote sensing, which is not yet optimal, but certainly an improvement. Regarding new knowledge generated from the implementation of measures in the first cycle, not much has changed. Throughout Europe, monitoring and evaluation of such measures has not been carried out properly in many cases. Despite the execution of rather costly measures, we barely follow up with their success rate or impact, and thus, we do not know which measure work well. For some, like those for fish migration, we can say that natural bypasses are more successful than technical fish ladders. Nevertheless, collecting data still needs to become a clear priority and we still have a long way to go to deal with all challenges relevant to river restoration. 4. How can REFORM provide specific support for river basin managers? Many of the outcomes of REFORM will be too late for the 2nd management cycle (this is also relevant for results available since 2013). In Sweden, we completed most of the work for the 2nd RBMPs already in 2013. However, during my work on a Swedish guideline on hydromorphology, we tried to bring in as many results from REFORM as possible. Overall, the work done in REFORM workpackage 2.1 (see relevant article in Newsletter no. 3) will prove to be very useful, as it creates a common language and a standard to describe rivers, hydromorphology and the role of biology. A common language will also support discussions on the European level on the relation between ecology and hydromorphology. In addition, REFORM’s work on the linkages between biology and hydromorphology is really important. We can use this when discussing amendments of the monitoring stations. In my opinion, the main impact of REFORM will come in the 3rd planning cycle of the WFD. The river basin district authorities are currently finishing the 2nd RBMPs and start to pursue public consultations. Work for the 3rd cycle is already coming up, as we realised that we have shortcomings that will require more work. It will be important that REFORM provides all useful information generated in the project in a cookbook-type manual on how to approach a catchment regarding hydromorphology and ecology. Furthermore, what is lacking so far in REFORM is work on prioritisation, which could be very useful for a country like Sweden. When starting restoration, we need to know, where we should start in time and space. The issue is so far partly picked up in work done on river resilience but there is no concise approach developed yet. 5. How should scientists engage more effectively with river managers to improve river restoration activities? What is your view on the role of advisory boards for research projects as REFORM? It is important for scientists to have a close relation to people using their results. You have to realise the political dimension of decisions taken in water management. One example is the prioritisation of measures. In Sweden, very tough decisions have to be taken on which rivers to restore. We will not be able to restore all rivers, since we need to keep hydropower plants and waterways functioning. For scientists, this means that they need to be aware of decision-making processes. On the other hand, decision-makers need the information derived from scientific work to underpin their decisions. Water managers usually need information on a rather general level, covering a larger scale, to take decisions. However, research often produces very advanced studies on a highly detailed level and a very small scale. Therefore, a close cooperation between water managers and researchers is crucial to create a common goal. This eventually will improve the information background that decision makers have in order to derive well-founded decisions. REFORM might build the bridge between the two worlds. REFORM has an amazing workprogramme from evaluating DPSIR from the drivers to designing restoration measures. This project pushed the knowledge boundaries several steps forward. It is not a general research project that produces a large amount of research papers, which are out of the picture for water managers. It has a strong communication strategy that provides targeted information to the water managers. The Advisory Board of REFORM supports this linkage of research with the outside world. All Advisory Board members have different angles of view and linkages to other stakeholder groups. I personally represent the water manager’s view and try to figure out how I can transform the information of REFORM into useful knowledge for water managers of county administrations or municipalities. Johan Kling was interviewed on 16 July 2014 by Eleftheria Kampa (Leader of Dissemination and Stakeholder Involvement of REFORM, Ecologic Institute).